here's my problem. When I log in I'm beeing asked for a password connecting to the internet which is strange because I'm the only user and the admin. I have auto log in and it never asks for passwords, (except when i do administrative tasks.) I have looked in the menu (System --> preferences, but i can't find any topic that say's passwords or similar. the only place where I have found a way to change my password is my user ((System --> preferences --> user and groups). I did try to take screenshots but nothing happened, which also is strange. I'm running ubuntu 10.04 LTS Desktop on my Asus 1201n (12"). It's also possible that since your using auto-login, you might be hitting another problem - sometimes network manager doesn't seem to save the WEP/WPA key properly. You can usually get round this by opening the connection and changing it "available to all users". So, right click on network manager, choose "Edit Connections". Find your connection, and choose "Properties", then tick the "Available to all users" box at the bottom. Sounds like your keychain is out of sync with your password. 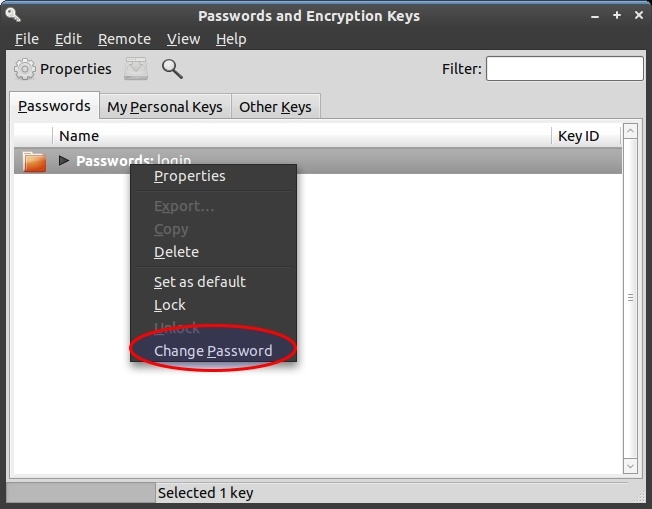 Go to System/Preferences/Password and Encryption keys, then choose the "login" chain. The only way that I know works is to set this to a blank password - you will be prompted on whether you are willing to trust this "unsafe storage" method, since your keyring will unlock automatically on login. I think you can also match the password on the login keychain to match that of your login password. But a) I haven't tested that and b) you have to remember to change your keychain password whenever you change your login password. As the only person on my laptop, configured with encrypted home, I'm happy with unsafe storage, but your mileage may vary. Chrome asks for the password when your account is set for autologin. Doing this makes it so that the keyring doesn't load when you reset/reboot your system. Chrome is asking for the password to the keyring so it can access stored information in the keyring. You can view the keyring on your system by running the command seahorse from a terminal window. You can also just bypass the asking by closing the window and still get to your sites without a problem. Some of the security may not load properly. When asked, provide your user password in order to perform sudo tasks, then enter the "new UNIX password" twice. Now the root user has a new password. Not the answer you're looking for? Browse other questions tagged 10.04 or ask your own question. What is the root password in Ubuntu? 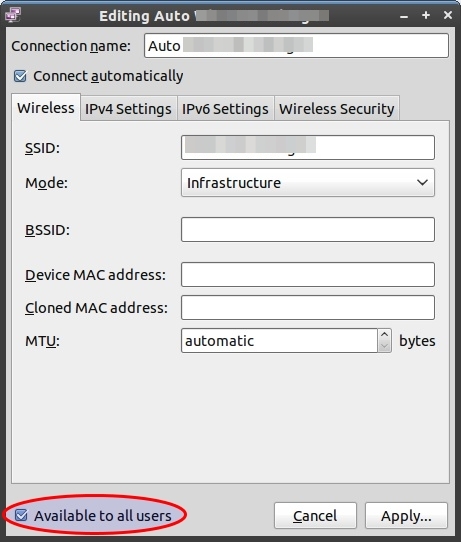 How to change the default timeout of internet connection? How to modify the system default login background image? How can I change the wireless pasword from the terminal? How to remove the BIOS password using Ubuntu? How do I change the options that appear in the generated Grub 0.97 menu.lst file? how to change setting for automatic shut down?